Captain Action was always one of those vintage toy lines that was just brimming with a potential come back in the modern era. 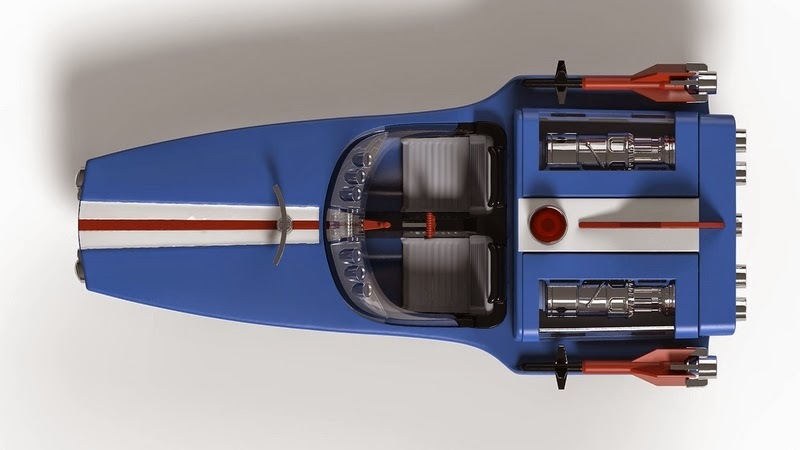 He was originally produced in 1966 by Ideal in response to the success of Hasbro's GI Joe. Similar to Joe, Captain Action's main play feature was that you could put him in different outfits, but unlike Joe, Action's outfits were all super hero related. He could be anything from Spider-Man to Batman to Flash Gordon and even Sgt. Nick Fury! Captain Action didn't see the kind of success and longevity that Joe did and, in 1968, Ideal cancelled the line. But, over the decades, Captain Action lived on the hearts of the people who played with him as children and became one of the most desirable (and expensive) vintage toy lines to collect. Over the past 15 years or so, Captain Action has attempted several come backs, but none of them have really stuck. Each come back has essentially followed the same formula, a recreation of the original line and uniforms, mainly using all the original sculpts-- all of which, in today's market, are badly dated looking. At retail, they don't really appeal to kids or collectors because kids don't recognize the brand and collectors either want the original vintage figures or something with a more modern quality standards. 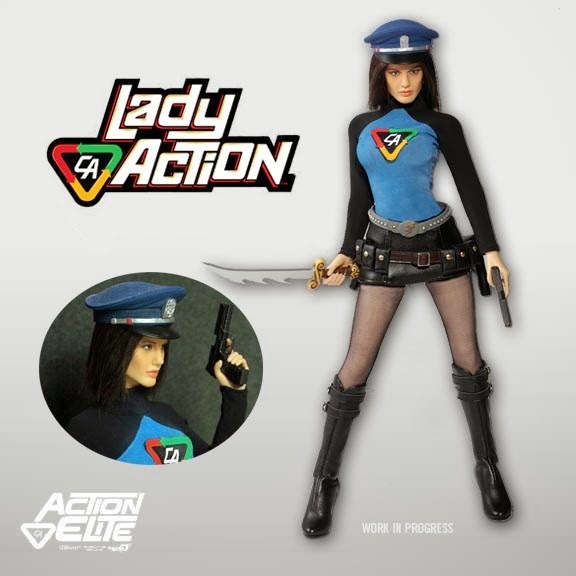 As a brand, Captain Action still has legs, and even though the line only lasted a few years, it still has a rich history to mine as, unlike Joe, Captain Action was an actual character-- not a nameless soldier. And he even had an arch enemy-- Dr Evil-- and a sidekick-- Action Boy. 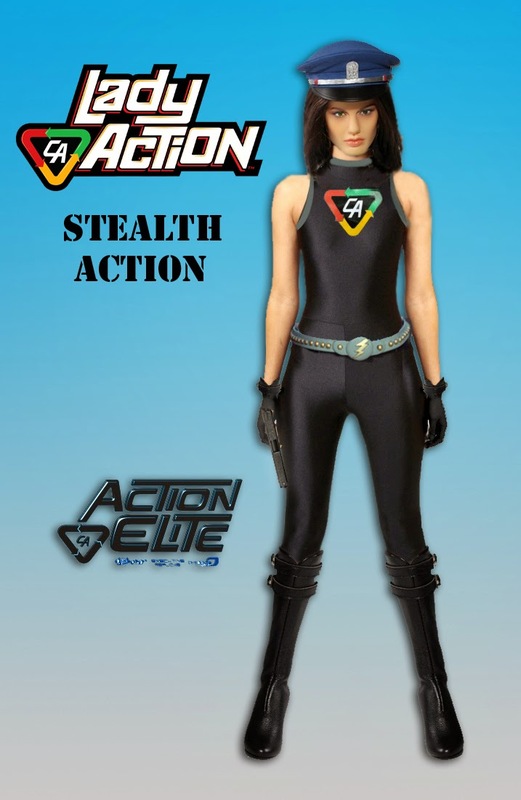 His history has also been fleshed out in several comic book series over the years, bringing in Lady Action and Captain Action's vehicle-- the Silver Streak. 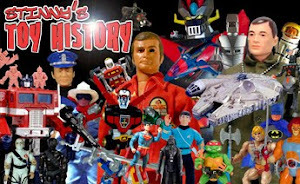 I've always loved Captain Action's place in toy history-- although his line existed well before I was even born-- with his unique play feature and "vintage" look. Years ago, I purchased a vintage Captain Action and Dr Evil, just to have this piece of toy history on my collection. But with all his "come backs", I never really felt that anyone created a true Captain Action for the new age of collectors; that is, until now. 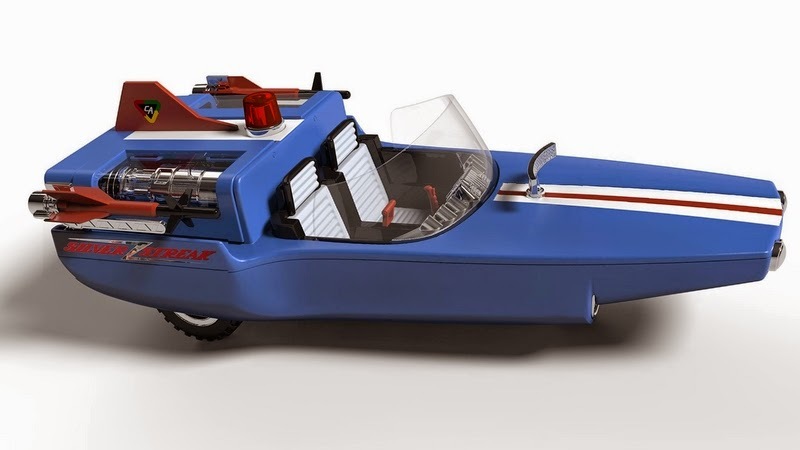 Finally, Captain Action will be getting the full, modern toy treatment in both the 4" and 12" scales. 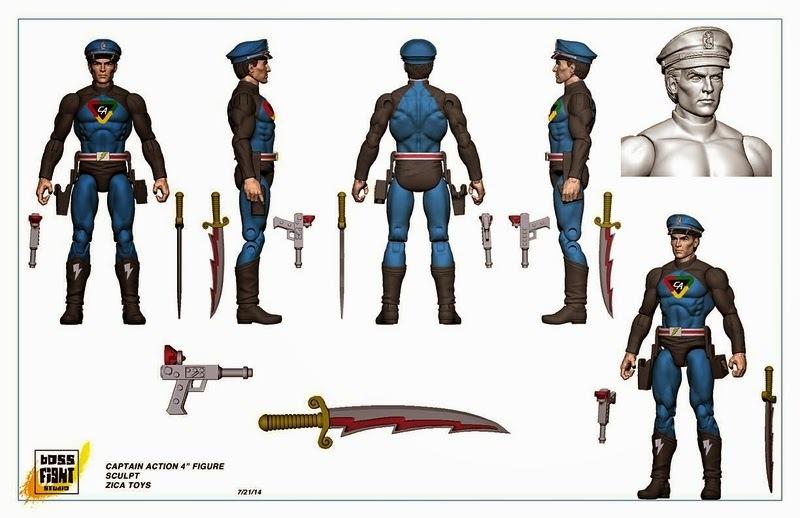 Zica Toys will be producing a line of 4" Captain Action figures that will-- thankfully-- not be "retro" figures, but rather modern era figures sculpted by none other than the super talented Boss Fight Studios. Also being produced is his vehicle-- the Silver Streak. 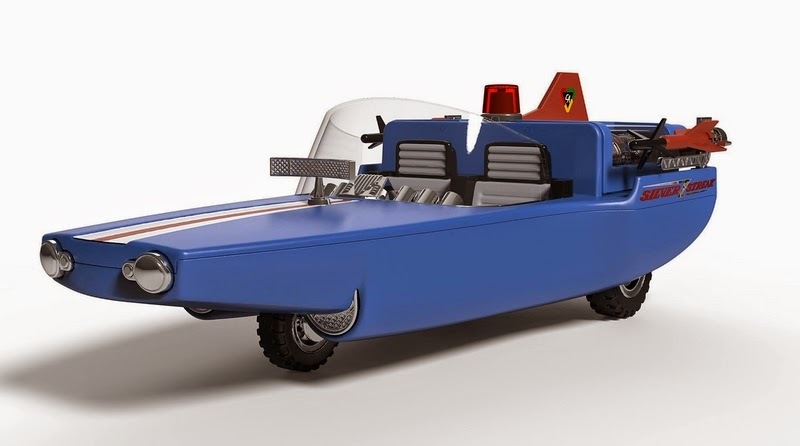 What's great is that they're keeping that awesome original look of the 60's era designs and feel-- which are what define Captain Action-- but have upgraded the quality of the license to today's standards. The 12" figure line will be a joint production between Go Hero, Executive Replicas and Phicen Ltd. These will be high-end, 12" figures, in line with what you expect from companies like-- well, for starters, Go Hero, Sideshow and Soldier Story. 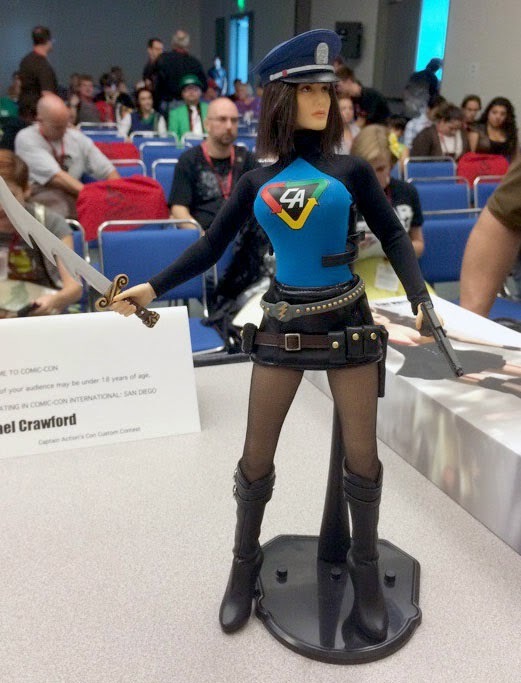 The first figure in the line-- actually kind of surprisingly-- will be Lady Action. And when you look at these pics-- this is the real figure, not a person in a suit or some kind of photoshop. This is all thanks to Phicen's seamless female figure body. It is a realistically sculpted body with no visible joints. This allows for the most realistic female figures possible-- especially when there are exposed part of the body not covered by the uniform. I'm pretty excited about both the 4" and 12" lines. I certainly trust the quality of anything Boss Fight Studios touches, and the Lady Action looks absolutely amazing! I'm assuming that Go Hero will be the ones to handle the production of Captain Action himself. Hopefully more news will become available on these new lines and we won't have to wait too line to finally get a fully realized modern line of Captain Action figures into our collections.